Japanese musician, composer and dancer Naochika Sogabe studied historical music of Europe and ethnomusicology in Cologne (Germany) and in The Hague (Netherlands). 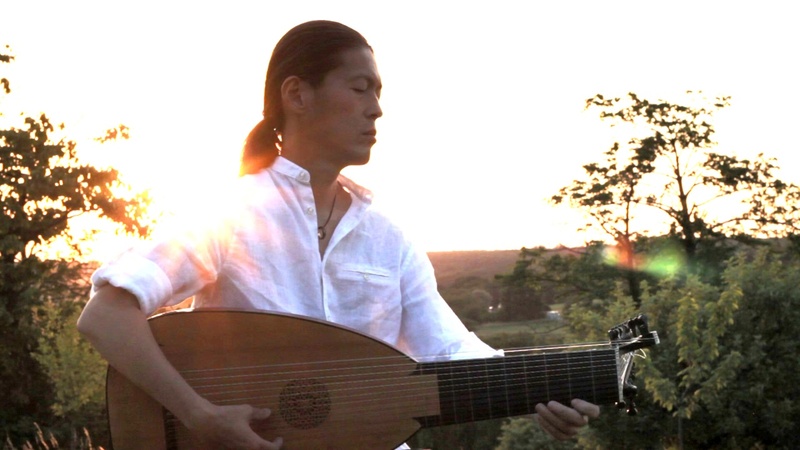 His main instruments are lute, oud and electric guitar. But in his recordings he plays all instruments like violine, bass guitar, percussions etc. He works also as a dancer of the Argentine tango and he dances in his concerts to his own recordings. He lives now at the border between France and Germany – You can watch the beauty of this region in his videos he produces.